This R50 banknote, approximately US$5.00 was sent to me by a cousin living in Cape Town. It has become a precious souvenir of the new South Africa. 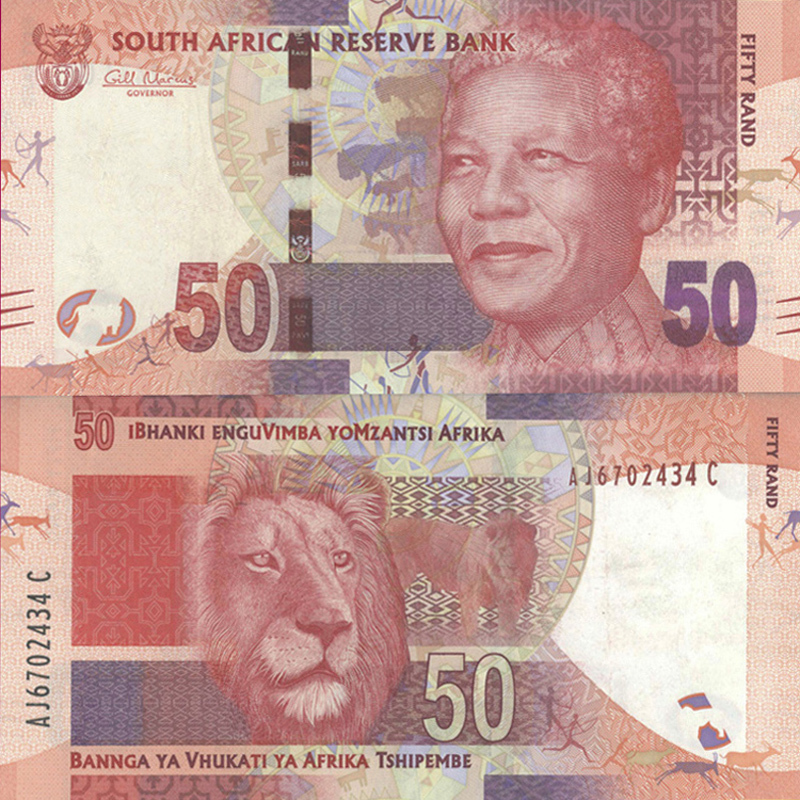 On the obverse is a portrait of a handsome Nelson Mandela; on the reverse, a portrait of a handsome lion. It was not difficult to conflate the two.